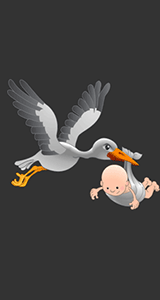 We have tried to compile a really useful set of information relating to New Baby Gifts. It's amazing how much equipment and how many items that are required to prepare for the arrival of a new born baby! When baby arrives it's a very busy time and it's easy to forget to enjoy the daily changes in the baby. When you look back on the baby's first year how many of those important details will be remembered? 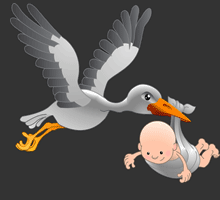 A free online resource crammed with advice and information including ideas for New Baby Gifts! We have categorised our ideas and information on New Baby Gifts into clear headings which we hope will help you to make decisions on purchasing New Baby Gifts. These categories are Safety and Home Protection gifts, Health and BabyCare gifts, Babies Clothes gifts, Babies Furniture gifts, Babies Toy gifts, Babies Travel gifts, Babies Feeding gifts and Bathing Babies gifts. Some great ideas for new baby gifts. Also click the following link for a comprehensive list of ideas for a Shopping List for a Newborn Baby. Safety and Home Protection New Baby Gifts! Detailed below are Household items which will assist you select these types of new baby gifts. This important aspect of parenting can sometimes be overlooked as so many elements of Safety and Home Protection do not apply until the baby starts to become mobile - but just by glancing at the following checklist you will see that this is not necessarily so. Some great ideas for new baby gifts. Health and Baby Care New Baby Gifts! Clothes ideas for New Baby Gifts! Babies grow at an alarming rate and the following chart provides guidelines on clothes and sizes - ideal when selecting new baby gifts. New parents are generally inundated with clothes for new born babies but these are usually outgrown in the matter of a few weeks. The following baby clothes size chart will help you plan a variety of sizes lasting through the baby's first year! Some great ideas for new baby gifts. Baby Furniture ideas for New Baby Gifts! Baby furniture ideas for new baby gifts. Make sure that you evaluate the space that is available in the room that will be used as a nursery and check out the sizes of the larger baby furniture items to ensure that they will fit in an appropriate part of the room. Some great ideas for new baby gifts. Baby Toys - ideas for New Baby Gifts! By applying the information contained in the Baby Development Chart you will be able to relate these ideas to your choices of Interactive and Educational Toys. Some great ideas for new baby gifts. Baby Travel - ideas for New Baby Gifts! The ideas and items listed below will help with travel issues. Some great ideas for new baby gifts. Feeding - ideas for New Baby Gifts! The ideas and items listed below will help with solid feed requirements - the prospective parents may not have thought this far ahead. Some great ideas for new baby gifts. Bathing - ideas for New Baby Gifts! The bathing checklists have been separated into Bathroom and Bathing categories. Some great ideas for new baby gifts. We hope that each of the above checklists will provide you with useful and non-commercial information to decide on the perfect new baby gifts. for the price of a greeting card! "It sometimes happens, even in the best of families, that a baby is born. This is not necessarily cause for alarm. The important thing is to keep your wits about you and borrow some money !" Quote by Elinor Goulding Smith.